The Rwanda Development Board (RDB) officially announced the introduction of the tourism-operating license to support the regulation of tourism entities while at the same time grant grades to hotels that have already filled all the required procedures. 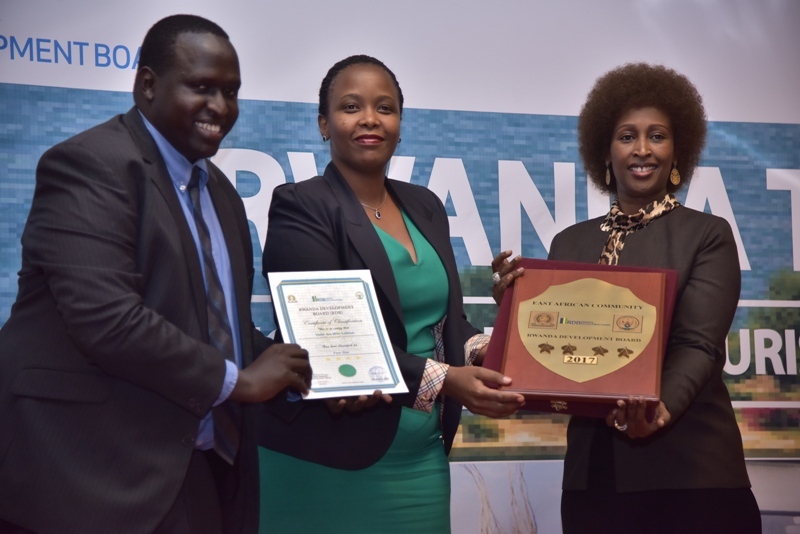 During the ceremony 67 tourism entities including 50 hotels, 8 tour operators and 9 tour guides were awarded with a tourism operating license, a tool that will now be used by consumers and policy makers to define quality standards of facilities and services. The law regulating the tourism industry in Rwanda officially came into force on 28th July 2014, while the Ministerial order regulating tourism operating licenses and the grading of tourism entities came into effect on 3 October 2016. In this regard the tourism operating license regulatory system is anticipated to improve quality of service, build the capacity of the private sector and improve the marketing efforts of stakeholders in the industry in favourably positioning the destination. Rwanda’s current ranking as the leading tourist destination in Africa as awarded by the World Travel Awards calls for actions such as this in order to maintain this providential position. All tourism entities in the country, including accommodation establishments, restaurants, bars, nightclubs, tour operators, travel agencies, tour guides, tourism information offices, cultural tourism entities (cultural villages, private museums), and any other entity as determined by Order of the Minister are required to obtain an operating license. This will also enhance Rwanda’s product positioning in line with the East African Tourism Marketing Platform as both the law and the ministerial orders were developed in accordance with East African Community (EAC) standards and were subject to technical review. The application process leverages on technology to enhance efficiency and tourism entities are now expected to submit an online license application, upload a series of supporting documents on the tourism regulation website www.tourismregulation.rw and pay an application fee of 80,000 RWF. After the above steps have been achieved the entities are entitled to physical inspection where they must demonstrate that they have fulfilled all license requirements before being awarded a certificate. Rwanda’s tourism industry has grown rapidly in the past few years, as the number of hotel rooms and tour operators have grown from 680 hotel rooms and 5 tour companies in 2003 to about 10,000 rooms and 63 tour companies currently registered with Rwanda Tours and Travel Association(RTTA).